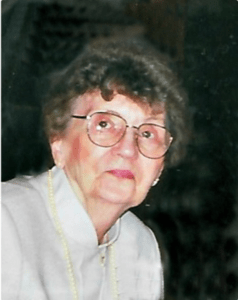 Northborough – Mary T. (Noponen) Sherman, 88 of Northborough, formerly of Mashpee and Boylston, died peacefully Oct. 13, 2018 at the Beaumont Rehabilitation and Skilled Nursing Center in Northborough. She was predeceased by her husband of 54 years, Robert L. Sherman, and leaves behind two daughters, Lucinda Adams of Shrewsbury and Debra Magiera and her husband Gary of Myrtle Beach, S.C.; two sons, Robert Sherman of St Augustine, Fla. and Stephen Sherman of Worcester; three grandchildren, Jason, Christopher, and Stephanie; three great-grandchildren; two sisters, Suzanne Noponen and Kathleen Noponen; and many nieces and nephews. Born in Worcester, the daughter of the late Frank and Susan (Duddy) Noponen, Mary graduated from St. Peter High School and as a nurse from Worcester Memorial Hospital in 1952. 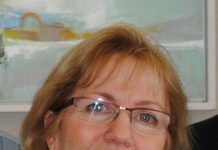 Her career as a nurse spanned many years as she worked at Memorial Hospital, YMCA Camps, Worcester County Hospital, town nurse for the Town of Boylston and for Boylston Elementary School, ran a Home Health Agency and VNA. She enjoyed her family and was a member of the Mashpee Women’s Club when she and Robert retired to Cape Cod. She was a longtime member of St. Mary of the Hills Parish in Boylston and then Christ the King Parish in Mashpee. There will be no public calling hours. Relatives and friends are invited to attend a funeral Mass celebrating Mary’s life Wednesday, Oct. 17, at 11 a.m., in Saint Mary’s Church, 640 Main St., Shrewsbury, under the direction of the Britton-Shrewsbury Funeral Home, 648 Main St. Burial will follow at Lake Grove Cemetery in Holliston. In lieu of flowers, donations in Mary’s name may be made to St Jude Children’s Research Hospital at www.stjude.org.